Ping Pong Fundraiser – last days to register! Grab your paddles, because it is on! Come out for Reel Asian’s first-ever Ping Pong Tournament Fundraiser. THE REEL ASIAN PING PONG TOURNAMENT FUNDRAISER IS JUST DAYS AWAY! 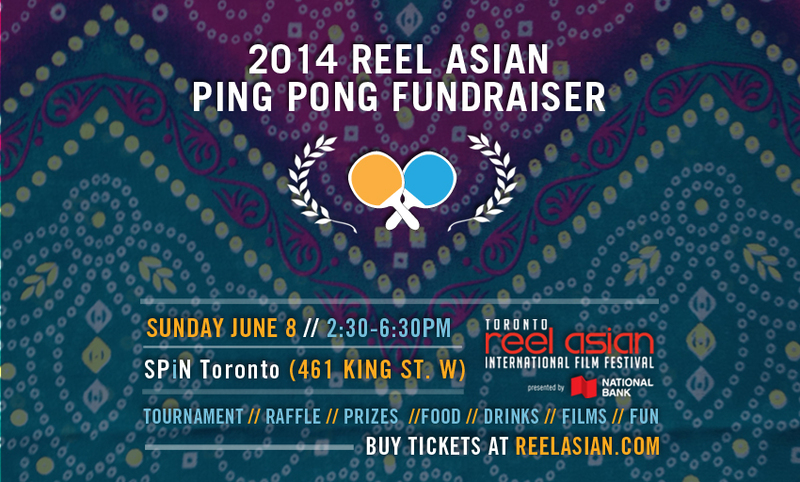 The Reel Asian Ping Pong Fundraiser is just days away! Bring your best game or cheer from the sidelines. The winning team walks away with a prize pack including Porter Airlines Travel worth $500 AND bragging rights! All funds raised will go towards this year’s festival. Help us keep our year-round programming accessible including our free summer outdoor movies, youth summer video workshops and industry networking lunches. Reel Asian ins a registered non-profit charitable organization.